Moorings afloat are available on Bankside finger pontoons with shore power or on pile moorings on our river island accessed by tender or yard launch. Berthing and boat storage is available ashore on trailers with launch and recovery on demand via our slipway onto waiting and overnight berths. Day boat dry stack and winter storage for boats and trailers is also on site. The entire boatyard area is made up of concrete hardstanding; this means the yard and your boat stay clean. The yard is serviced with mains water and electricity supply. Your boat will remain accessible to you anytime should you wish to work on the deck, topsides or the interior of the boat. Clean, dry, safe and fully enclosed undercover storage facility offers additional protection for your boat. Your boat will remain accessible during yard opening hours. We are located in the center of Thames Valley cruising area between Hampton Court and Windsor Palaces and just up stream of Walton Bridge. Shepperton is a non-tidal cruising location on the River Thames with excellent facilities in the area, lots of pubs and loads of places-to-go. It is an ideal base, with easy access to the quiet and beautiful cruising grounds of the River Wey and Basingstoke Canal. The picturesque River Thames is the most important inland cruising area in the UK reaching from the Thames Estuary through the Port of London up to Oxford and beyond to Lechlade. You can go inland by boat from London Docklands to Bristol Docks! We specialize in helping first time buyers and can help you and your crew enjoy getting afloat safely. 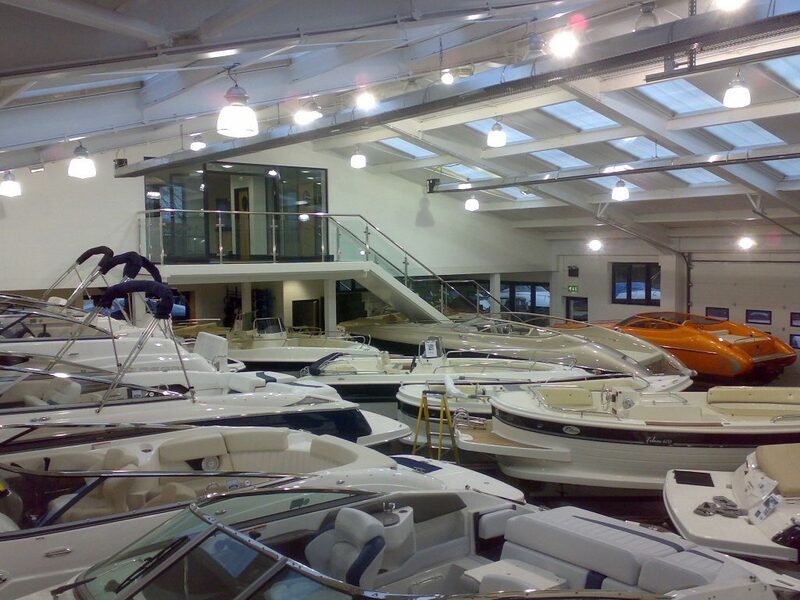 Our Boatyard support team can assist with regular valeting, servicing, anti-fouling and any basic routine maintenance and are always happy to offer advice with regard to any work you think may need at anytime of the year.